Suzumiya Haruhi no Yuutsu | Gatou? Suzumiya Haruhi no Yuutsu Live-Action? 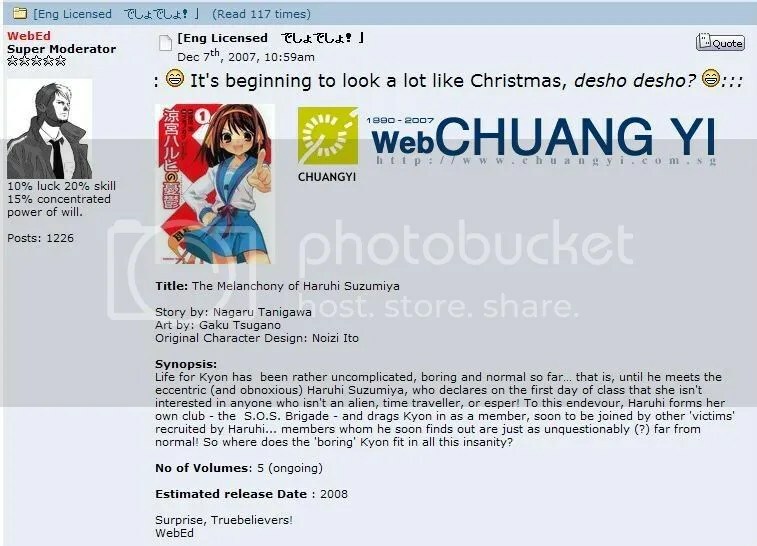 While surfing tags on WordPress, I stumbled upon this post for Suzumiya Haruhi no Yuutsu. There’s going to be live-action, something of which I had no idea at all, but it seems to be a pretty old post.. I always have misgivings towards live-actions, mostly because of my disbelief that real actors can pull off what anime characters do. However, since the actress is Misa from the Death Note movies..I’ll be looking out for it. While we’re on the subject of live-action, where’s the first episode of the Magister Negi Magi live-action? 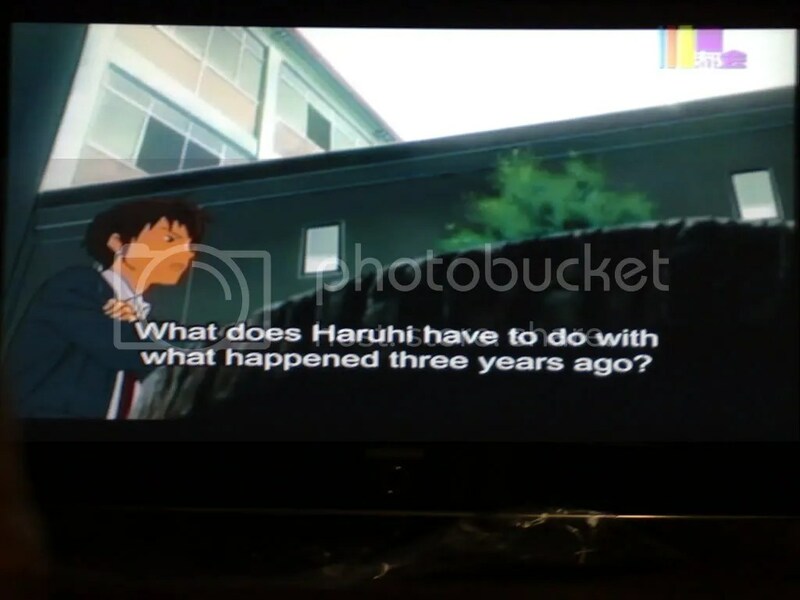 More shots of Odex’s Haruhi Part Two. I don’t know, but Haruhi is someone that definitely has something to do with Odex. Again, image-centric post with more comparison of Odex vs. A.F.K subs. You know the drill, Odex on top, A.F.K at the bottom. Or you could say, bad quality pics of Odex on top and and high quality screencaps of subs below. I agree with you, Haruhi-sama.